Jackson Hole is one of our favorite places. In fact, it’s Keith’s absolute favorite place to ski (and pretty advanced for beginner skiers). There is a lot to choose from and a lot to know when planning a trip there. 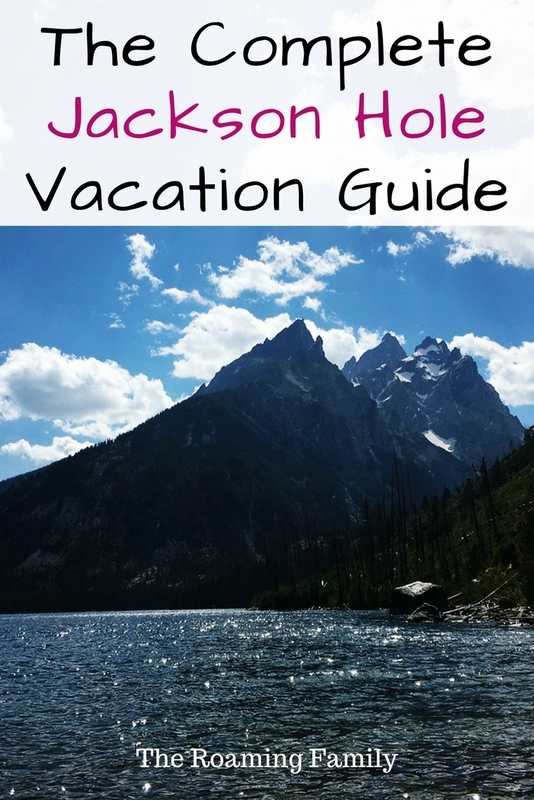 Hopefully my Jackson Hole Family Travel Guide helps! The Jackson area consists of the town of Jackson and Teton Village. Teton National Park is a popular place to be, as well because it’s very close to Teton Village. Jackson is where a lot of action is. Restaurants, art galleries, many hotels and bars. But with that action, comes a lot of crowds. And surprisingly, the crowds are even worse in the summer. The national parks nearby are a big draw for people who live in other countries and the town is packed. Be prepared to wait for lunch and always make dinner reservations. In addition to waits for meals, the traffic gets crazy. Think huge campers trying to turn corners and cops on every corner trying to make sure no one gets run over. Plan to park a few blocks from the town square! Crowded or not, Jackson is beautiful. There’s a big town square with lots of benches, interesting “old west” architecture and gorgeous trees. And it’s surrounded by mountains. Teton Village is located about 20 to 30 minutes from Jackson, depending on traffic. 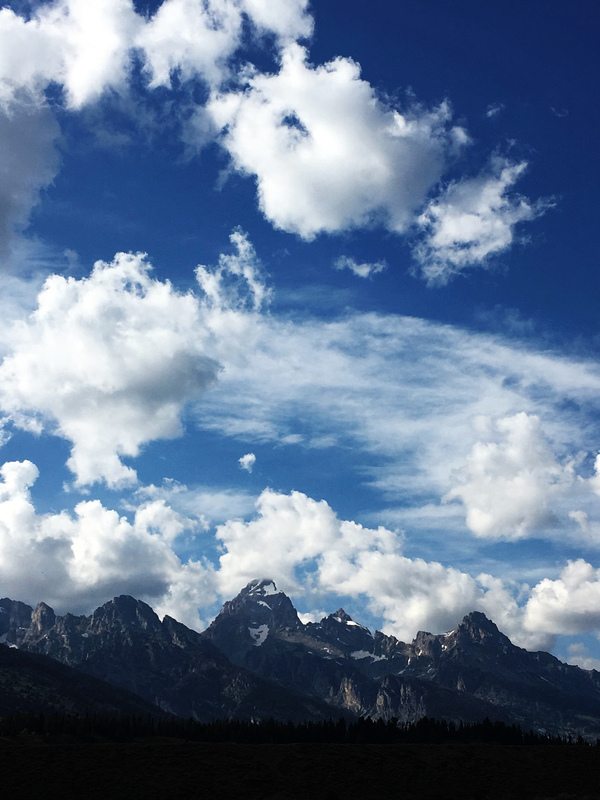 Teton Village is at the base of the ski mountain and consists of several hotels, restaurants and activities such as hiking, biking and riding the tram. We have always stayed in the village because it has literally everything you need and isn’t quite as crazy crowded as Jackson is. 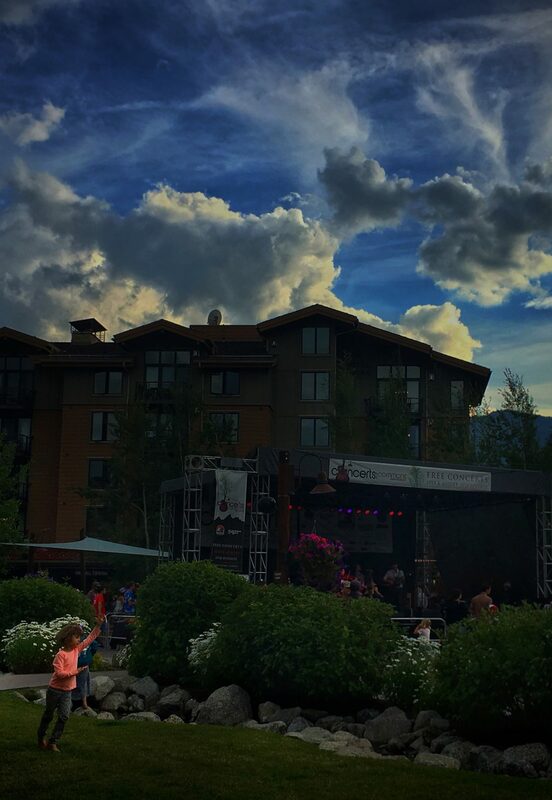 Teton Village feels private and has lovely amenities such as free concerts on the green in the summer or sleigh rides in the winter. If you’re specifically there to ski, you can’t beat Teton Mountain Village. Teton National Park is located down the road from Mountain Village and is very secluded and private. There are only a handful of places to stay and they are pretty exclusive, with gorgeous views of the mountains and top notch service. There is no shortage of things to do – hiking, biking, boating on Jenny Lake and swimming. The national park is a great place to go when you want privacy and family time. Snake River Lodge: Snake River is a very large resort located very close to the gondola and tram. Not quite ski-in, ski-out but very close. The resort has plenty of amenities – an indoor/outdoor pool, a bar, several different rooms types, but only one main restaurant. It’s very convenient and very friendly. Four Season Resort and Residences: An absolutely beautiful resort (of course!) about a 3 minute walk to the slopes. Not right in the village, but many people consider that a plus, as it feels secluded and private. Filled with amenities – beautiful outdoor pool, the well known kid’s club, spa and amazing accommodations. Four Season’s is really top notch for families. Included in your rate are kid’s bathrobes, complimentary playpens, and complimentary baby proofing. Hotel Terra: Hotel Terra is slope side in Mountain Village, making it very close to ski-in/ski-out. Modern architecture make this hotel an interesting spot in Teton Village and the infinity pool is a dream. Terra has a ski valet, as well, which is a great amenity when dealing with heavy, wet skis after a day on the slopes. Summer, summer, summertime! A fantastic time to visit. Any of the hotels mentioned above work for summer, as well, but just to add some more to the list. Jenny Lake Lodge: This resort has been round for ages and is absolutely stunning. Tucked into Teton National Park, Jenny Lake Lodge is a gem. Mainly consisting of individual cabins, the place is adorable and right at the base of the Tetons, near Jenny Lake. Fantastic hiking abounds and the lodge has plenty of daily activities for the guests. Included are yoga, stargazing, live Raptor display, and ranger talks. And the food in the dining room is fantastic. The lodge is NOT open during the winter. It closes in early October for the season. Amangani: Have money to burn? Amangani is one of the ultra luxury Aman properties. Located high on a Butte, overlooking the valley, Amangani is a study in perfection! Picture being in a stunning pool overlooking a valley, on the maigration path for moose, elk and other wildlife. Consisting of suites and villas, the resort has amazing restaurants and perfect service. And it will probably set you back a minimum of $1300 per night. It’s gorgeous though and a bucket list item. Jackson Lake Lodge: Jackson Lake Lodge has one of the more stunning hotel lobbies I’ve ever seen. Overlooking the Teton mountain range with huge picture windows, this hotel deserves at least a cocktail in the hotel bar if you stay somewhere else. Beautiful views as far as the eye can see, a great pool and fire pits looking into the range as well. There are both freestanding cabins and lodges available. It books up fast, practically a year in advance. What isn’t there to do in Jackson? 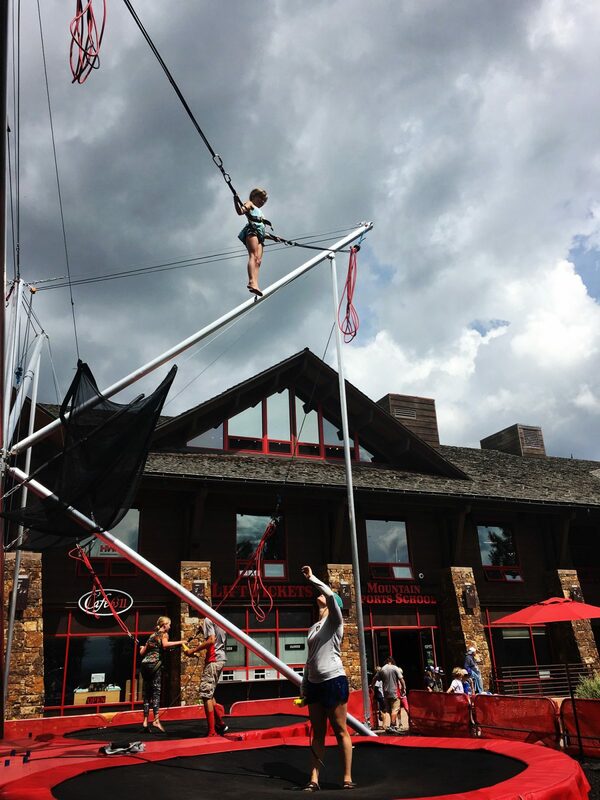 A Jackson Hole family travel guide has to include activities! There’s so much, one could easily spend two or three weeks there an not get bored. Winter: Skiing, sledding, dog sledding, tubing, snowmobiling, nordic skiing, wildlife tour, photography tours, and eating (Jackson has great restaurants). 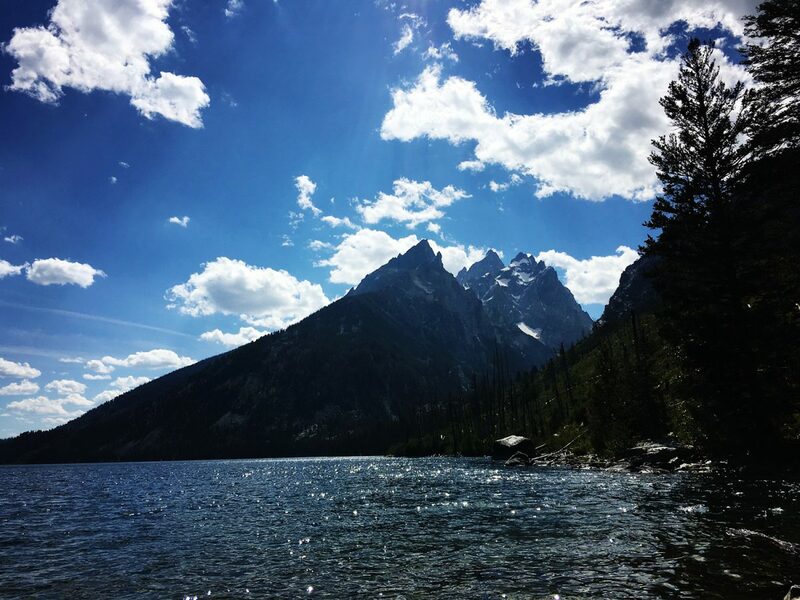 Summer: hiking, biking, wildlife tours, photography tours, climbing, golfing, horseback riding, chuck wagon, fishing, rafting, Teton National Park, Yellowstone (2 hour drive), the Adventure Park in Teton Village and hanging out in town. 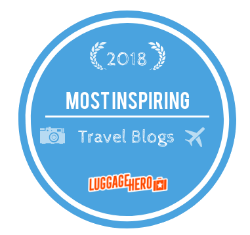 For a fun itinerary, check out this post. I’ll be honest. Jackson isn’t the cheapest place you can visit. It’s very popular and resorts and hotels charge as much as they can. Expect to pay a minimum of $400 per night in most of the hotels. 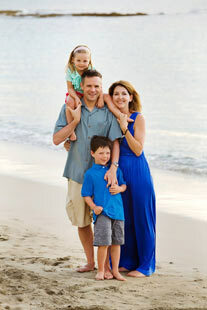 I make no secret that I love resorts, but there are plenty of houses as well for large families. For a meal, expect to pay at least $25 per person at most restaurants in town or any of the resorts. And other than hiking trails, don’t expect anything to be free. Even the tram/gondola to the top of Jackson Hole is around $35 or $40 per person. It is free after 5pm, however. Rafting trips, fly fishing or horseback riding are all going to run into the $100s per person. If you want to visit Jackson Hole, check out what interests you first and budget accordingly. As I mentioned, be prepared for some crowds. I suggest mapping out a lot of the stuff you want to see and reserving things before you go to there. A lot of stuff sells out and it’s a frustrating venture trying to make a plan on the fly. While many of the family activities are family friendly, a lot of activities will not accommodate children under the age of 5. Rafting, activities at the Adventure Center and hiking long distances in Teton and Yellowstone aren’t going to work. Horseback riding and other select activities are perfect but I really think children should be at least 6 or 7 to enjoy Jackson Hole. As much as many people like houses and condo rentals, I definitely prefer resort amenities, so if you do find a house, try to find one with a pool. Kids need breaks from constant activity and our pool at Snake River Lodge really saved us several times. Most of all – expect to have fun! Jackson Hole is a great family vacation. It’s one of the many amazing U.S. National Parks. For a great list of National Parks, check out my friend Leona’s post here. Interested in visiting Jackson for your next family vacation? Contact me here and I can help you get started. Great post! I love this area. The things you suggest are great. So much to do here its basically endless! This definitely looks like a lot of fun and a lot more activities than I expected! How long would you recommend to stay or visit in the area? What was your favorite activity there? A week for sure! Our favorite activity was eating. I definitely gained some weight! 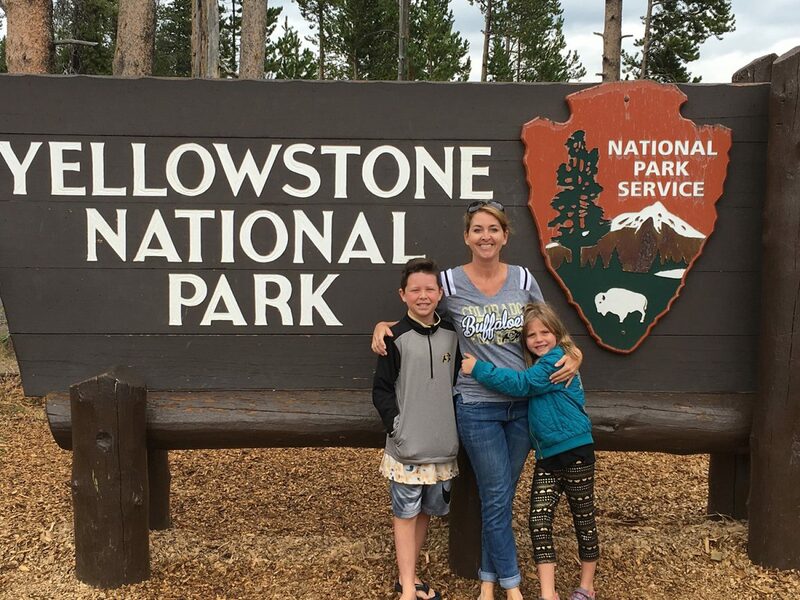 Yellowstone National Park has always been a place I’ve wanted to visit, looks like you had such a great trip! This would be a great base for a national parks tour! I have heard good things about Jackson Hole’s burgeoning arts scene, but didn’t realize how close it was to *both* Grand Teton and Yellowstone. Yes very close (less than 2 hours to Yellowstone) and a beautiful drive! What a great article for how to get the best out of Jackson Hole for a family. But as you say, those activities can soon mount up cost wise, so planning them around some hikes sounds like a great way to get the most out of it! Jackson looks like a fun-filled stay! So much to do for a family wow! I must recommend this to a friend that would like to go sometime next year…thank you so much! These are times when I wish I knew skiing. What a fabulous place to go on Vacation. The view of the mountain along with lake looks so peaceful and perfect. Great photos and guide to Jackson Hole. I’m surprised the cost for the resort is so high! Wow. Nice pictures. Will include this on my bucket list.